An update to Vol. 2, pp. 661–665. 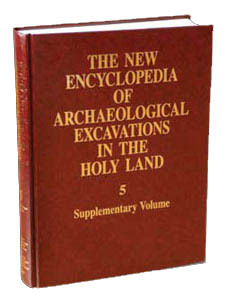 During eight seasons of excavations (1992–2006) directed by P. de Miroschedji of the Centre de Recherche Français de Jérusalem and the Institute of Archaeology of the Hebrew University of Jerusalem, work was completed in area G, continued in area B and sounding 2 on the acropolis, and commenced in areas J–N. THE LOWER CITY. In the lower city, the main periods of occupation in the Early Bronze Age I–III were recognized during the first eight seasons of excavations. An occupational phase subsequent to the Early Bronze Age IIIB, and thus termed Early Bronze Age IIIC, was identified in area B, where it corresponds to palaces B2 and B1; it is also represented in areas G, H, and J. The phase marks the very end of the Early Bronze Age at Tel Jarmuth.